Students at Bell Top and Donald P. Sutherland Elementary Schools created colorful rainbow murals to celebrate kindness and cooperation in their schools. For the art project, students traced their own hands, added illustrations and then cut out their individual designs. 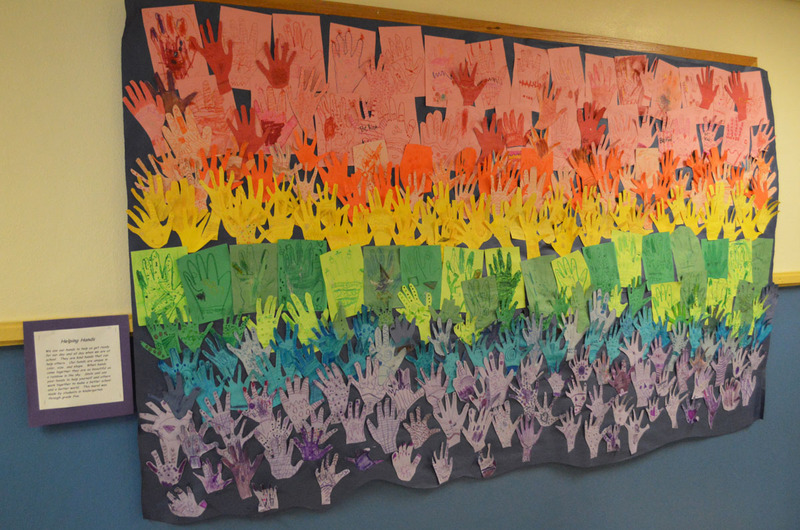 All of the hands were arranged to make a beautiful rainbow.